Struggling oil producers could suffer even more pain in 2016 with further plunges in already record-low prices, BP chief executive Bob Dudley warned on Saturday. "A low point could be in the first quarter," he told BBC radio. Oil prices fell by 34% in 2015, battered by prolonged global oversupply and a slowdown in energy-hungry China's economy. Dudley predicted that prices could stabilise towards the end of the year, but would remain low for the foreseeable future. "Prices are going to stay lower for longer, we have said it and I think we are in this for a couple of years. For sure, there is a boom-and-bust cycle here," he said. 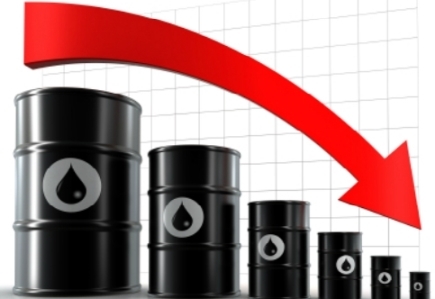 Prices have particularly slumped since Dec 4 when the Organisation of Petroleum Exporting Countries (Opec) decided against limiting production. Potentially adding to the supply worries was action by the US Congress last month to end the 40-year-old ban on exports of crude oil produced in the country. In another development, senior Iranian officials were quoted as saying that a rise in Iran's crude oil exports once sanctions against it are lifted depends on future global oil demand and should not further weaken oil prices. Oil Minister Bijan Zanganeh said Iran did not plan to exacerbate an already bearish oil market. "We are not seeking to distort the market but will regain our market share," said Zanganeh, quoted by oil ministry news agency Shana. Oil prices are likely to come under further pressure this year, when international sanctions on Iran are due to be removed under a nuclear deal reached in July. Brent crude settled at US$37.28 (RM160) a barrel on Thursday. Iran has repeatedly said it plans to raise oil output by 500,000 barrels per day (bpd) post sanctions, and another 500,000 bpd shortly after that, to reclaim its position as Opec's second-largest producer. "The decision on the amount of exports highly depends on the future condition of the market. We will raise our market quota steadily," said Mohsen Qamsari, director-general for international affairs of the National Iranian Oil Co.
"We will adjust our output to the global market's demand," he told Shana on Saturday. "We will exercise great caution to prevent a further decline in international prices and will adopt certain methods and strategies to this end," he added, without elaborating. The sanctions have halved Iran's oil exports to around 1.1 million bpd from a pre-2012 level of 2.5 million bpd. Qamsari said Iran would be looking to export its crude to Asia and Europe giving examples of China and India as potential buyers post sanctions.